The world number one is set to start his run in Miami against Tomic or Monteiro who face each other today. Novak Djokovic has been successful in Miami ever since he took part in the tournament for the first time back in 2006. In fact, in the following year, Djokovic won his first ever ATP Masters 1000 tournament. The Serbian has already won the title six times and will be after his seventh at this year’s edition at the Hard Rock Stadium. If he had to get the title this year, Djokovic would earn himself sole ownership of the record of most Miami Open titles. The 31-year old suffered a surprise defeat to Philipp Kohlschreiber in the third round of the BNP Paribas Open of last week but immediately hit the training court in order to be ready for Miami. 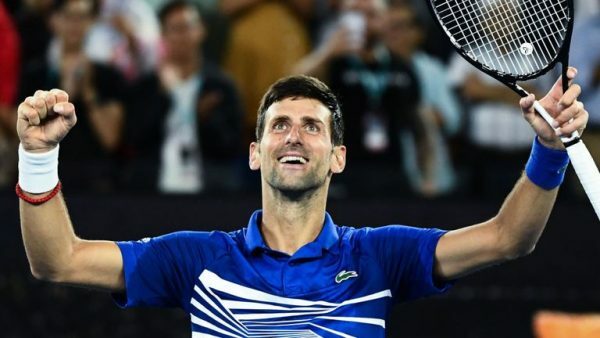 It will be the first time the Miami tournament is not held at Crandon Park in Key Brisbane as it will be moved to the Hard Rock Stadium with Djokovic who approved the new location after testing it out. He said the new venue provides a unique opportunity to bring the sport to an even wider audience. A year ago, Djokovic had been eliminated from Indian Wells and Miami in the opening rounds and was heavily targeted by critics. What’s unbelievable is the fact that from then onwards, the Serbian managed to win three Grand Slam titles, two Masters 1000 titles as well as finished runner-up at the Nitto ATP Finals. The world number one said all this success would not have been possible if it wasn’t for his family, especially his brothers Marko and Djordje.